I see the Whale pin on the Birch Rock Camp banner over my bed, and I know I can accomplish anything. 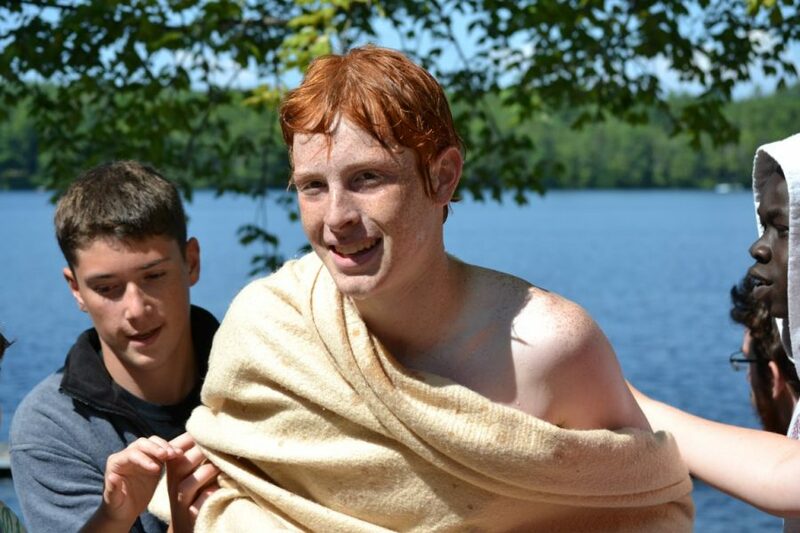 Located on the shores of Lake McWain, Birch Rock is a sleepaway camp in Maine that has pushed me out of my comfort zone and encouraged me to take the kind of risks that have helped me to develop into a resilient leader. In my last year of eligibility as a camper, I was determined to place in the top three in the Birch Rock triathlon. I knew that I had to do some serious training because I was not ready for the swimming section: the farthest I had ever swum was the Duck (once across the lake) while some of my competitors had already completed the Whale, a five-mile perimeter swim that seemed beyond my abilities. I couldn’t pour all my energy into the swimming portion because I had to bike and then run after that. I felt more confident about the second and third stages, but I needed to exercise self-discipline to get into racing shape– physically and mentally. I worked hard every day to improve my swimming stamina. On the day of the race, twenty-one of us lined up on the dock, ready to cut through the water to the other side. When I finished sixth out of the lake, I knew I had a shot. I hopped on my bike and passed everybody in front of me! When three people caught me near the end of the running section, I dug down deep and sprinted past the person in front of me to finish on the podium. I had accomplished my goal. What was next? The ultimate challenge at Birch Rock is swimming the Whale, that grueling five-mile swim around the lake. Before qualifying to swim the Whale, I would have to complete two other long-distance swims: the Loon (across the lake and back) and the Seal (the length of the lake, about a mile and a half). After barely achieving the Duck a few summers before, I had not attempted the other long-distance swims. The waterfront director, Curtis, saw me training for the triathlon and said, “YOU are going to swim your Whale.” At the time, I thought he was joking; but then I noticed that Curtis pushed me harder and harder during instructional swim. I surprised myself by easily swimming my Loon. A week later, I exceeded my own expectation by swimming my Seal. Then one evening, Curtis heaped an extra portion of pasta on my dinner plate. I knew something was up, but was I mentally and physically ready for it? He took me down to the water at five the next morning, told me to start swimming. The rest was a blur except the final stretch: my body was spent after three hours of swimming, but I could hear the entire camp cheering for me on the dock. I knew in my heart I had to pull through. And just like the triathlon, I found the inner strength to push to the finish. In celebration that afternoon, I devoured my victory Whale cake and pinned the Whale pin to my Birch Rock banner. My years of camping at Birch Rock have prepared me for university life and beyond by building my mental readiness, determination and self-discipline. With the Whale pin as a daily reminder to keep going, I will continue to work hard and persevere, ready to take on any challenge in front of me.